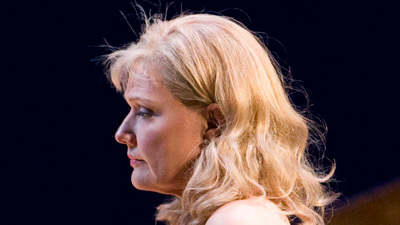 This performance presents the great Leonie Rysanek in one of her most memorable roles—the teenage Judean princess Salome. Obsessed with the prophet Jochanaan, the Biblical John the Baptist (Norman Bailey), she skillfully manipulates her lecherous stepfather Herod (Ragnar Ulfung) until he has no choice but to have the holy man killed for spurning the princess’s advances. The legendary Astrid Varnay is Salome’s mother, Herodias. Highlights of the score include the Dance of the Seven Veils and Salome’s final monologue, one of the supreme dramatic achievements in all of opera.